I wrote a post about Andrew Breitbart's untimely passing yesterday. I didn't know him as well as some others, who had these amazing personal stories to share about him, so I wanted to gather as many links as I could find. It is a great tribute to him that there are so many people out there whom he personally affected. Andrew was a creature of social media if there ever was one, and many people took to Twitter yesterday to share their memories of him. Accordingly, it seemed fitting to do one final post in his honor with a collection of tweets. You wish to honor the man? Very well then: take up his sword, and fight as he did. One thing we can take comfort in - God's gonna have a great website now. I just can't even believe this is real. The people cheering that Andrew Breitbart is dead want to control your healthcare. R.I.P. Andrew Breitbart. Warrior, patriot, brawler, damn good sport. Godspeed, Andrew. Today has made me more grateful than ever for this Twitter political madness & all of the people I've been lucky enough to meet. Andrew passed knowing that his life had purpose and meaning. How many trolls celebrating his death can say the same? Today, some leftists will make nastier and more hateful comments about Andrew Breitbart than they'll ever make about Islamic terrorists. Dear Left: I'm coming for you. The memorials today of Breitbart seemed more often about him than the memorials of Hitchens, which seemed more often about the authors. For the record, I'd still be okay with this being a hoax. The reality is just so sad. Heh. Ted Kennedy is trending. "But but Breitbart was mean to the guy who drowned a woman and fled the scene!" 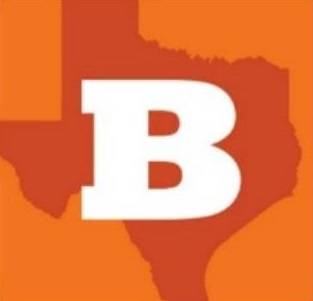 I'll say this for the Breitbart haters: they sure have know u to how grammar bad do also speeling aarrors. #AndrewBreitbart was as passionate about his family as he was about the movement. I will deeply miss our chats about our sons. I rapped him for letting us down lately on the hair front. We had the same kind of hair. He called it problem hair. I suggested "Defiant." It's telling that the left saw Breitbart and his work as hateful. It wasn't. It was truthful. But that's the same thing to them. Churchill. Chesterton. Reagan. Many quotes reminding us of Breitbart's merits, but by the gods, I'm gonna quote @50Cent. I propose CPAC Blogger of the Year be renamed the "Andrew Breitbart Award for Excellence in Citizen Journalism." Can I get a second? On it. RT @TeriChristoph: cc: @RGreggKeller RT @JonahNRO: Seems like a no-brainer that C-PAC should establish an Andrew Breitbart award. Not just an employer, also a friend and mentor. Our fiercest warrior. He made you all swords. Use them. Keep his family in your prayers. So, progressives, you don’t win this. You will lose because I and millions of others will drag our nominee over the finish line. A just God will ensure that Kim Jong-Il is serving Breitbart drinks, as Qaddafi shines his shoes. The left made all of @andrewbreitbart's most potent arguments.All @andrewbreitbart had to do was add two letters: "RT"
To all who are @HatingBreitbart: #IamAndrewBreitbart, #HeisAndrewBreitbart, #SheisAndrewBreitbart. 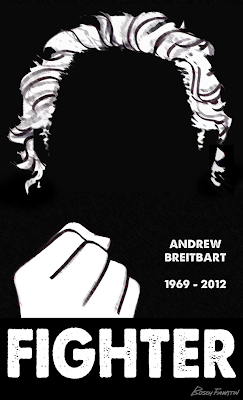 #WeareAndrewBreitbart. War. I heard this morning that Andrew Breitbart is dead. But I say he is still alive. an excellent collection you compiled, Sarah. Yes this really was the perfect way to honor his memory. Thanks for posting this. Give me coffee or give me death!